Member pay could increase and younger Nebraskans could serve in the Legislature under two proposals considered Feb. 6 by the Executive Board. 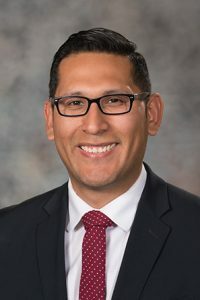 LR12CA, sponsored by Sen. Tony Vargas of Omaha, would place a proposed constitutional amendment on the 2020 general election ballot to set the salary for state senators at 50 percent of Nebraska’s median household income as defined by the most recent U.S. Census Bureau report. The wage would be adjusted every two years. The current $12,000 annual salary has not increased since 1989, Vargas said, and the low level of compensation keeps a broad range of people from serving in the Legislature. The change would raise the annual salary in Nebraska to approximately $27,000, he said, which still would be below the national average of around $35,500. “Higher pay [would enable] Nebraskans of all income levels and in all districts to consider elected office,” Vargas said. Vargas said he would be willing to consider an amendment to ensure that the increase not apply to anyone currently serving in the Legislature. Jennifer Creager, testifying on behalf of the Greater Omaha Chamber, Lincoln Chamber of Commerce and the Nebraska Chamber of Commerce and Industry, supported the measure. 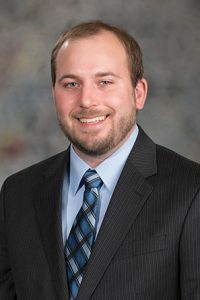 Also considered was LR11CA, sponsored by Lincoln Sen. Matt Hansen, which would place a proposed constitutional amendment on the same ballot to lower the age of eligibility to serve in the Legislature from 21 to 19. Hansen said the change would harmonize the age requirement with Nebraska’s age of majority and could open up the Legislature to new ideas. Several people younger than 21 were elected to serve in other state legislatures in 2018, he said, and are working on issues important to young people including voting accessibility and college affordability. “I’m sure we all personally know at least one young person who would make an outstanding state senator regardless of age,” Hansen said. No one testified in opposition to the proposals and the committee took no immediate action on either.